It is so easy to make your own muesli and once you have the hang of it you can adapt the flavours and ingredients to suit you and your family. This recipe has no added sugar is low GI and high in essential fatty acids. You can serve muesli with milk but we prefer it with a splash of hot water and a sliced orange. 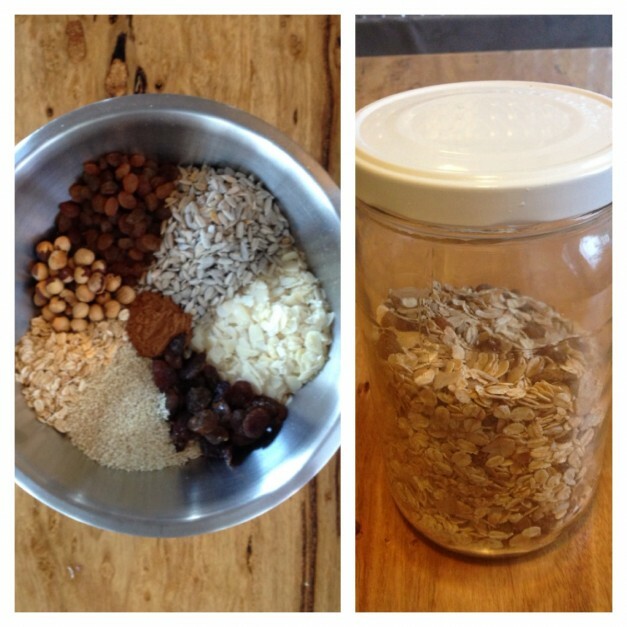 Collect your ingredients and mix together – Yep it is that easy! !